Storyline: Mimi Glossop wants a divorce so her Aunt Hortense hires a professional to play the correspondent in apparent infidelity. American dancer Guy Holden meets Mimi while visiting Brightbourne (Brighton) and she thinks he is the correspondent. The plot is really an excuse for song and dance. 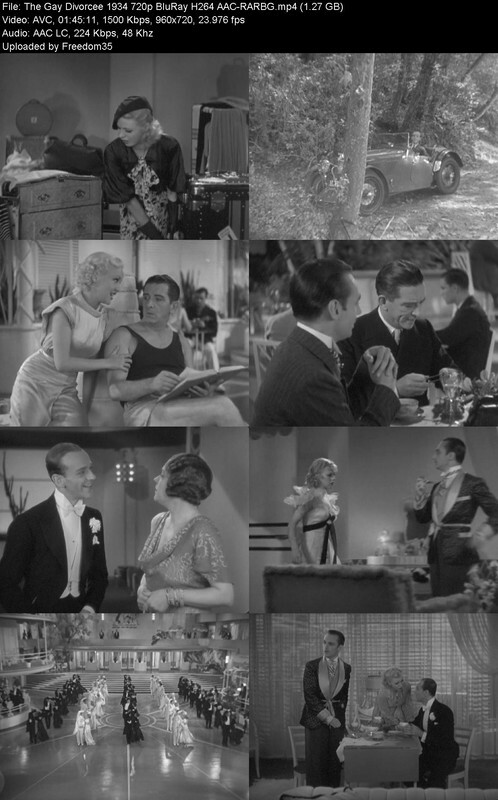 The movie won three Academy nominations and the first Oscar for Best Song: "The Continental", a twenty-two minute production number.